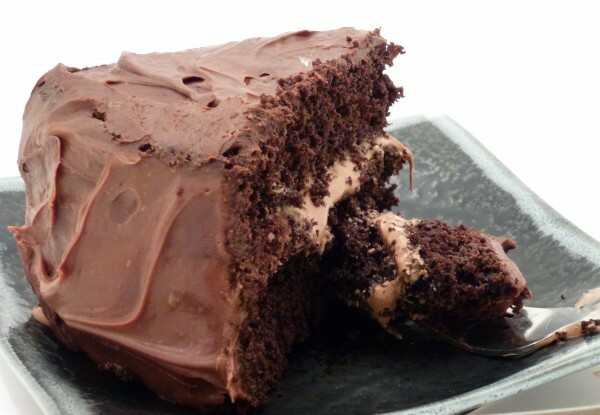 Rich, decadent, chocolatey, moist… is how I would describe this one. Even though I’m pretty proud of this cake, it wasn’t too difficult to get right. Every single trial in developing this recipe tasted pretty good to me. 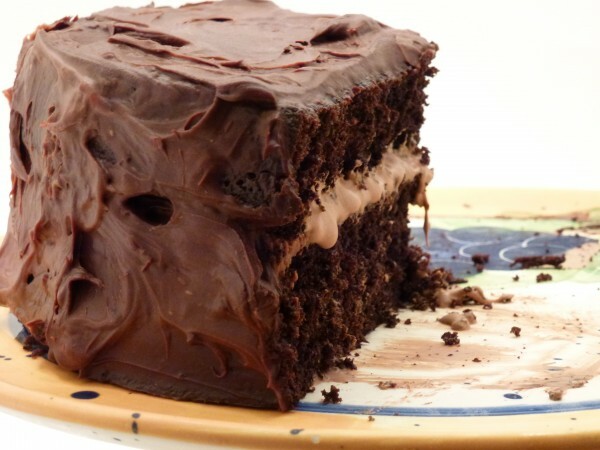 When I set out to create this recipe, despite it being my favourite cake, I didn’t actually know what Devil’s Food Cake was. I knew it was rich and chocolatey, but wasn’t sure what made it “Devil’s Food” instead of just good old chocolate cake. 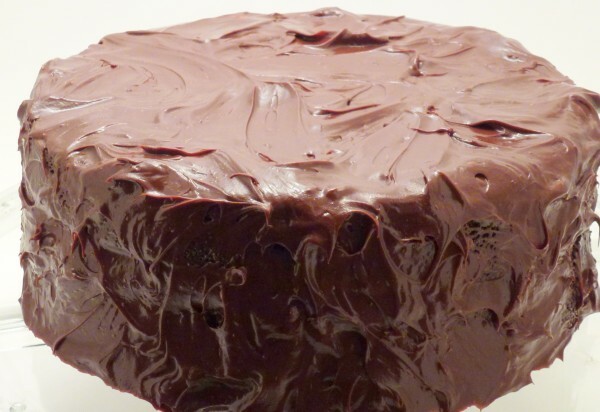 Apparently I’m not the only one who is unaware of the distinction between the two, but if I ever see a chocolate cake as dark and rich as this, I will call it Devil’s Food. It is definitely the exact opposite of Angel Food Cake. 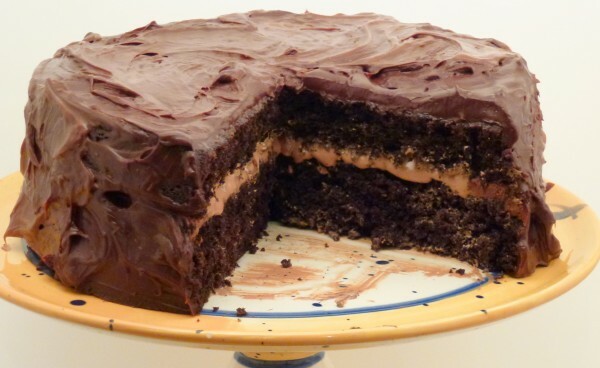 For this cake, I used a milk chocolate-caramel filling, which ended up being a bit gooier than planned. This resulted in an amazingly yummy, but really messy cake. Whatever you choose to frost/fill this cake, I’m sure it will be a huge hit. Grease cake tins with solid vegetable shortening and line bottoms with wax paper. In medium bowl, sift together flour, baking soda, baking powder, and salt. In a separate bowl, beat butter, vanilla, and sugars on high speed until blended and fluffy. Mix cocoa powder and boiling water together. Mix this mixture with milk and vinegar. Add dry and wet ingredients into the butter/egg mixture and mix until blended. Divide batter equally between pans. Bake 30-35 min, or until toothpick inserted in center comes out clean. (18-22 min for cupcakes.) Be careful not to over bake so the cake retains its moisture. Cool in pans on wire rack for 10 min. Run knife along sides of pans and invert cakes onto wire rack. Remove wax paper and cool completely. Once cool, frost cake with desired frosting.